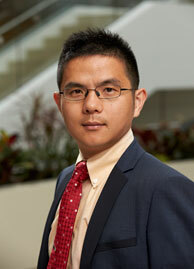 Pingyang Gao studies disclosure regulation, accounting standards setting, incentive and contracting, and equity valuation. He has taught MBA- and PhD-level courses at Yale University and lectured in the China Professional Manager Qualification Program. Gao's paper, "Keynesian Beauty Contest, Accounting Disclosure, and Market Efficiency," which won the Best Paper Award of 2007 AAA Northeast Regional Meeting, is published in Journal of Accounting Research. Another paper, "Disclosure Quality, Cost of Capital, and Investors' Welfare," published in The Accounting Review, was the recipient of 2008 American Accounting Association Competitive Manuscript Award. Gao's publications also include two books in Chinese, Financial Statement Analysis for Non-Accountants and Practical Accounting English. In addition, he has received several honors, including the Edward Alexander Bouchet Graduate Honor Society membership and the Deloitte & Touche Foundation Doctoral Fellowship. "Having witnessed and experienced the market-oriented reform in China in the past three decades, I believe that better understanding of market behaviors and public policies could profoundly improve many people's welfare. I hope my research could contribute to our deeper appreciation of market mechanism and public policies." Gao has presented his research at various conferences and university workshops. He is a member of the AAA, AFA, AEA, and CAPANA. He is also an inactive CPA in China. Gao earned a bachelor's degree in accounting in 2002 from Renmin University of China, a master's degree in finance in 2004 from Peking University, and a PhD in accounting in 2008 from Yale University. Gao joined the Chicago Booth faculty in 2008. His hobbies and interests include reading, running, and Chinese bridge. Disclosure regulation; accounting standards setting; incentive and contracting; equity valuation. "Keynesian Beauty Contest, Accounting Disclosure, and Market Efficiency," Journal of Accounting Research (2008). We study the effects of mark-to-market accounting (MTM) on banks’ loan origination and retention decisions. We point out a conceptual shortcoming of MTM. Loan prices are informative in equilibrium but this price discovery is sustained by the good banks’ costly retention. The attempt to exploit the information in equilibrium prices through MTM makes price discovery more costly or even impossible. We show that, relative to historic cost accounting (HC), MTM has three consequences. First, it improves the accuracy of loan valuation ex post. Second, it forces the good banks to retain even more risk exposure on their balance sheet. Finally, it can reduce ex-ante origination efforts. To the extent that a lower loan quality and banks’ excessive risk exposure are two important ingredients for financial crises, we identify one mechanism through which MTM could contribute to financial crises. This paper investigates banks?reporting choices in the context of bank runs. A fundamental-based run imposes market discipline on insolvent banks, but a panic-based run closes banks that could have survived with better coordination among creditors. We augment a bank-run model with the bank?s reporting choices. We show that banks with intermediate fundamentals have stronger incentive to misreport than those in the two tails. Moreover, reporting discretion reduces panic-based runs, but excessive discretion also reduces fundamental-based runs. The optimal amount of reporting discretion increases in the bank?s vulnerability to panic-based runs. Finally, a given bank?s opportunistic use of reporting discretion exerts a negative externality on other banks. Our paper answers the call by Armstrong, Guay, Mehran, and Weber (2016) and Bushman (2016) to understand better the effects of banks? special features on their reporting choices. We study firms' investment in internal control to reduce accounting manipulation. We first show the peer pressure for manipulation: one manager manipulates more if he suspects reports of peer firms are more likely to be manipulated. As a result, one firm's investment in internal control has a positive externality on peer firms. It reduces its own manager's manipulation, which in turn mitigates the manipulation pressure on managers in peer firms. Firms don't internalize this positive externality and thus under-invest in their internal control over financial reporting. The under-investment problem provides one justification for regulatory intervention in firms' internal control choices. This paper investigates the design of recognition thresholds in accounting standards. In statistics, a threshold classi.es evidence to balance two types of recognition errors weighted by their respective costs to a decision maker. In accounting recognition standards, a threshold induces firms to respond strategically and thus affects the very distribution of evidence the threshold classi.es. With this strategic effect, the optimal recognition threshold is determined by not only the decision maker’s loss function but also the transaction’s features. We compare the optimal threshold’s properties under the statistical and strategic approaches, provide their respective empirical predictions, and discuss the limitations of using a statistical approach to guide accounting standard setting.